When I was 7th and 8th grades, we had home economics as one of our classes. Literally, it was a room with several kitchen stations that included a stove, a refrigerator, and a sink, plus a kitchen table. We were divided into groups or teams, maybe four or five, I don’t remember. Along the edges, there were sewing machines because we learned to sew in there as well. I made a skirt and of course, an apron, which I had to use for the cooking portion of the year. It could have been a great experience except for one small problem: this was the school where I was attending as an accelerated student, along with a class of others. But Home Ec was a shared experience (like gym) with the regular classes. And whether we deserved it as a group or not, we were despised by the other kids. It felt like the animosity between local teens and college kids in a small town. Of course, I was already an easy mark for my own “smart” classmates so it didn’t take long for the regular class kids to figure out I was easy prey. Fortunately, our food dishes were judged as a group, so there was no food sabotage, so their favorite past time was tearing up my hair net or misplacing my apron. Anything to get me a poor grade. Back then, hair nets were hideous, but trying to get a ripped one on my head was absurd. 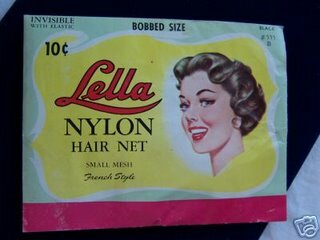 These hair nets were a whole different kind of net, very thin, supposedly invisible, and more like working with a spider web than anything else. We never know what humiliating experience will stay with us. Whether it’s wearing a Ho-Jo’s (Howard Johnsons) turquoise waitress uniform or being stood up for a date or having a party and no one showing up, embarrassment is a powerful agent for the development of a character. In today’s world, an array of disgraces might bring a teen to suicide or worse, a mass killing in a movie theater or a school. What is degrading to one person may not bother another. The little things, they mold a life. I can see it looking back. It’s something to include in a key character soon. Posted on July 22, 2012, in Memory, Writing Roots and tagged childhood, easy prey, embarrassment, hair nets, home ec, humiliations, memory, tweens. Bookmark the permalink. 2 Comments. Good. Let’s talk about this some time. The power of embarrassment is very underrated, and probably understudied. Fiction is a good place to explore this.